Flown status is most reliably found through documentation with part numbers and serial numbers. In this case, however, comparison of the artifact with NASA photos was used. 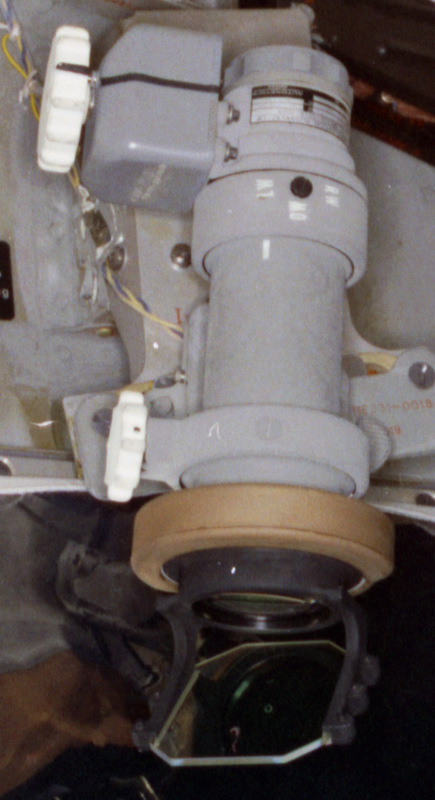 In comparing these photos, especially noteworthy are: 1) the positioning of the barrel labels; 2) the inclusion of a small discoloration on the left side of the L on the “LW” label; 3) the arrangement of the white part number and serial number stampings on the side of the light dimmer control housing (at left); and 4) the pattern of discoloration on the barrel of the unit. Comparison with NASA photos of two other LM COAS units confirms the variability of the unit markings and other characteristics, showing that the match described here is significant. To the left below is the Apollo 12 (LM-6) COAS. 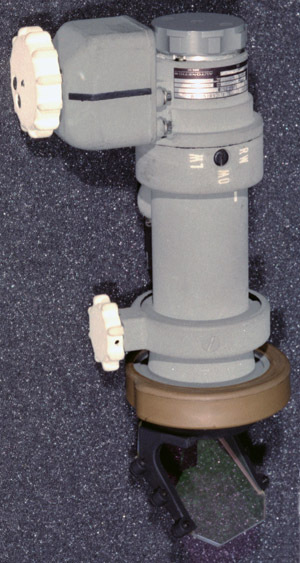 This unit is a -0021 version of the COAS. To the right is a -0009 unit, just as the LM-3 artifact. It is shown in preparation for a fit check in LM-5 (Apollo 11) on February 6, 1969. On many Apollo flights the mission commander removed the LM COAS and kept it as a memento before the LM was discarded during the mission. Apollo 9 was unique because NASA requested return of the COAS to investigate a mission anomaly (commander unable to see the COAS reticle during docking - see Apollo 9 Mission Report, section 17.3.3). 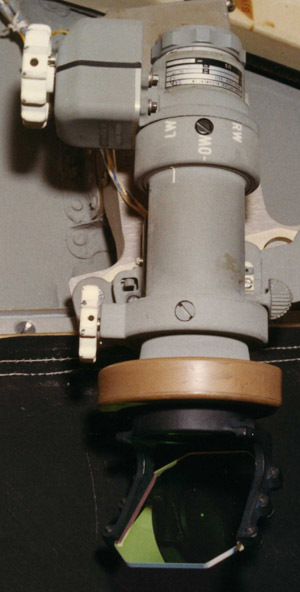 The internal filter of this unit reduced the brightness of the reticle from 1000 foot-Lamberts (ft-L) to less than 90 ft-L. Making the filter external on later units restored the original brightness (ref Apollo Experience Report Vol. 5 Lighting Considerations). 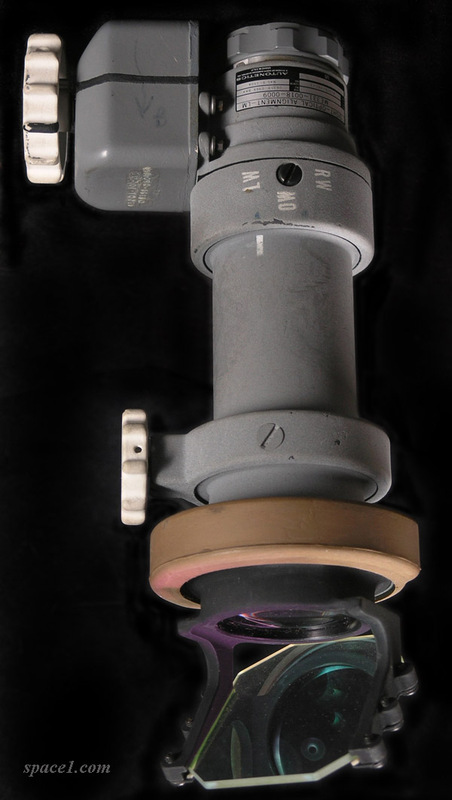 The artifact was acquired through the Spring 2004 auction of Aurora Galleries.